The client provided large insurance companies with referrals to a network of professional contractors. Its ongoing success prompted an expansion, offering consumers access to the same network. Angie’s List and other well-known competitors dominated the market, which was also the new focus of Amazon, Home Depot, and Lowe’s. Our task was to help Contractor Connection craft a digital marketing strategy to provide a foundation for building the company’s online presence with consumers. We started our PPC work with research into the client’s existing paid search keyword list. By matching the client’s database of available contractors and services to our keyword list by city and state, we were able to create an exclusion list that ensured ads were shown only in those cities where Contractor Connection could provide a contractor match. 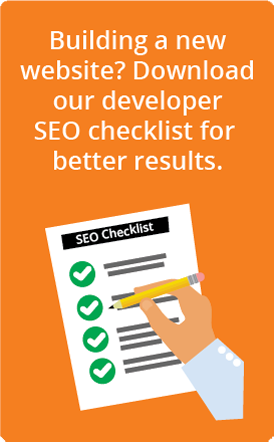 Given the strength of competitors in the market, our SEO work focused on a local strategy. We created local content targeting tier two and tier three cities in which the client has service providers, circumventing the higher competition in tier one cities. The customer sign-up process had been designed for submitting claims to insurance companies, which required detailed information. It was, however, too cumbersome for consumers, resulting in disappointing numbers of completed conversions. We redesigned the sign-up journey using conversion rate optimization (CRO) best practices. This included reducing the number of steps required, adding trust signals, and crafting clear, helpful messages to give consumers confidence in the company and in the process itself. * PPC conversion rates increased by 180% and conversions by 174%, while conversion costs were reduced by 64%. * SEO organic traffic increased by 117%. * SEO conversion rates increased by 118% and conversions by 376%. * Sign-up process new project completions coming through PPC increased by 117%. * Sign-up process new project completions coming through SEO increased by 203%. Our work for Contractor Connection earned us a place in the finals of Search Engine Land’s 2015 Landy Awards, which recognizes excellence in organic and paid search digital marketing initiatives. Ready to write your own success story? Let’s talk!